15 things you might not know about THE WALKING DEAD | Warped Factor - Words in the Key of Geek. 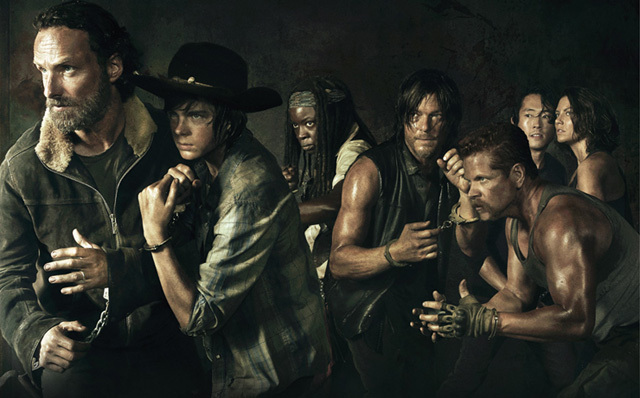 Returning for its Fifth season this Sunday night is the number one show on television, The Walking Dead. Geek Dave escapes from the train car to bring you 15 things you might not know about the hit AMC series. 1. The Walking Dead is an enormous hit for AMC, but it was originally pitched to HBO. They decided to pass because they felt it was too violent!!! HBO? Too violent?? For reals??? 2. Norman Reedus, who plays Daryl Dixon, was involved in a pretty terrible car accident whilst in Berlin, Germany back in 2005. Consequently his left eye has a titanium eye socket and he has 4 screws in his nose. 3. Reedus actually came in to read for the part of Merle Dixon. He was rejected, but his audition so intrigued the show-runners so much that they created the part of Daryl just for him. 4. 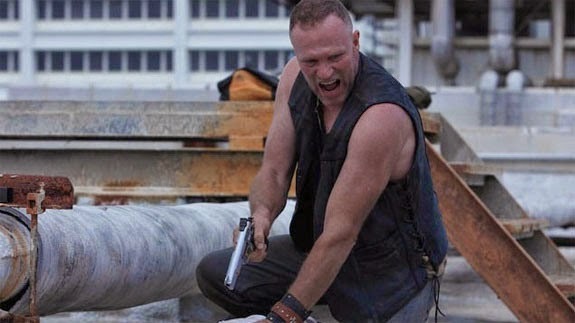 Talking about Merle, back in the second ever episode when big brother Dixon (Michael Rooker) was shooting on top of the roof, residents nearby in Atlanta thought it was real and alerted the authorities. A SWAT Team was called in to diffuse the situation, it took some explaining that it wasn't a real sniper on the roof. 5. When you see those Walkers chow down on their latest kill, amongst the fake body parts are bits of ham soaked in vinegar. Tasty! 6. The show's special effects supervisor, Greg Nicotero, has played several Walkers over the years, including the one that bit Amy on the neck back in season 1. 7. He may be Rick Grimes to you, but actor Andrew Lincoln's real name is Andrew Clutterbuck! 8. Rick Grimes is supposedly from King County, Georgia. A place that doesn't actually exist but was named in honor of Stephen King. 9. 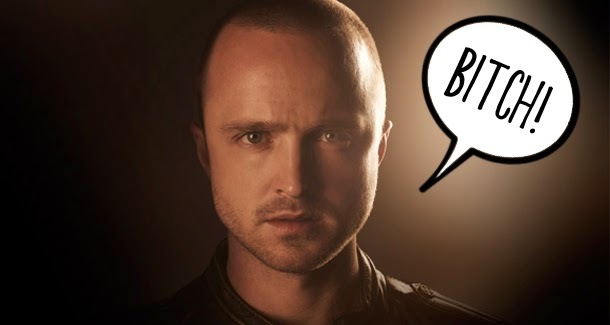 Did you know there's a potential link between The Walking Dead and another AMC hit show, Breaking Bad? Check out the video below and you'll see that Glenn from The Walking Dead drives the same car that Walter White was told to return to someone called Glenn. Mind blowing, eh? 10. 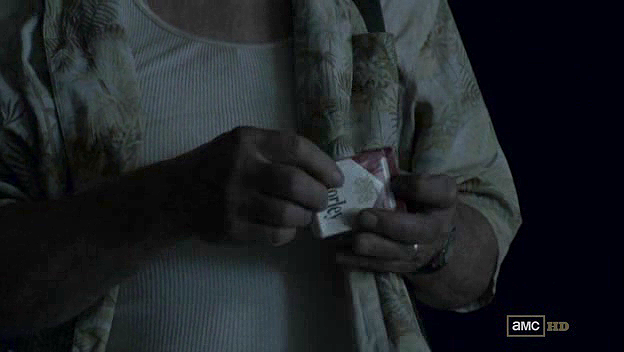 So could it be that Walter White's 'baby blue' was responsible for the zombie apocalypse on The Walking Dead? 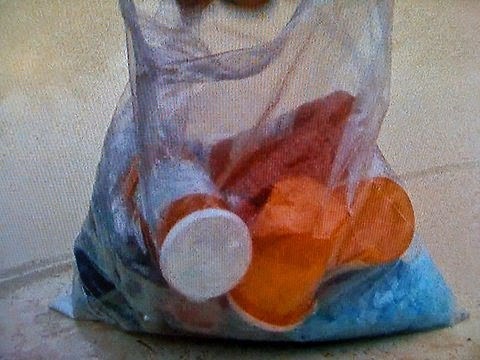 Well, it just might, because in the first season Daryl carried a bag that contained something looking suspiciously like Heizenberg's blue meth! 12. It's not just Breaking Bad that has been referenced in The Walking Dead. Remember Dale? Well he smoked Morley Cigarettes, the same fictional brand of cigarettes also smoked by, among others, the Cigarette Smoking Man in The X-Files. 13. The Doctor at the CDC in the final episode of Season 1 was called Edwin Jenner. He was named in reference to Edward Jenner who developed the first vaccine - it was for smallpox. 14. 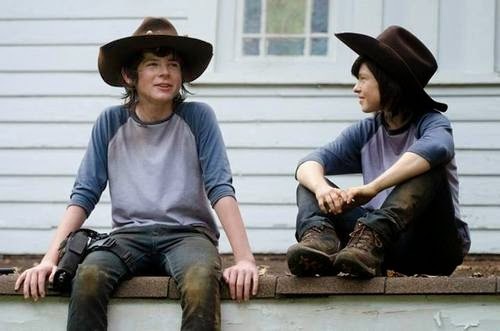 Young Carl Grimes has himself a stunt-double. Well actually he's had more than one. Previously it was a 31 year-old woman called Savan Jade Wehunt, who also doubled for Sophia and Penny (the Governors’ daughter). Fair play to Chandler Riggs for not being too offended that he had a 31 year old woman doubling for him. He got a new stunt double for Season 4, a 29 year old lady called Emily Brobst! 15. Season 4 saw most of the cast heading towards Terminus. This is actually a reference to the settlement that was at the end of the Western and Atlantic railroad lines back in the 1830s. It too was called Terminus, although today it is better known as Atlanta, Georgia. Where The Walking Dead is filmed.